I’d like to enable diagnostics mode for that machine, so in addition to the device name, I kindly ask you to reproduce this issue once more and then note the exact local time in your country (ex. 2:37PM) that you notice this crash. Once you provide the above info and diagnostics are in I will confirm the trace is present and create a case for you with QA. The other Win 10 computer (DESKTOP-21H2LO2) that had been running Roon 106 successfully now will not; Roon starts but flashes to the red x and then closes. I’m left with only an Android phone to access my Roon library and am hoping for some support. John is this two machines now showing this problem on the same network? If that is the case and I was given this as a symptom when I worked in support I would be thinking malware. @ged_hickman1 malware may not be the case… as far as my work, with @Danny and @Mike, on the issue goes there is a bug that, at the presence of some special characters (such as “]”, for example) in the name of the file selected to be played, makes the Windows new app crush. The dreaded ] has been a culprit before. Good to hear that, it’s better than you having a viral attack. The dreaded ] has been a culprit before. It isn’t just ], of course. I think Roon has a problem with special characters because Roon’s library is platform agnostic. Unlike JShiver, which requires a differently formatted library for each flavor of OS. I have the same issue on my Win 7 and Win 10 machines. There seems to be an issue when I try to connect to a node that is a “Hi-Fi Berry” (Raspberry Pi) device. If you are trying to access one of these, disconnect it from the network and Roon fires up after that (still need this issue fixed though). I think I found a work around. I do have a Raspberry Pi endpoint and disabled it; still have the problem. Also tried accessing the Core from an Android cell, but often can’t run Roon on the Win 10 machines. Not aware of any special characters in the files or streams I access. Sure hope to see a solution to this soon. It’s no fun browsing albums on a cell phone. 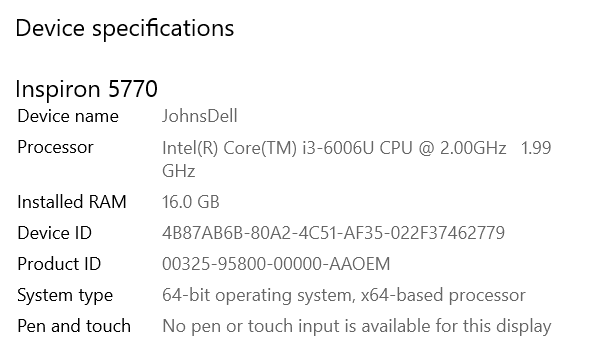 You mentioned that this issue is happening for your Windows 10 machines, but the Core is working as expected now? If this issue is only occurring on your Roon Remotes you can try reinstalling the Roon app to see if that helps. I would also physically unplug and re-plug in your audio endpoints to see if that helps. Thanks. Roon Core is running fine on a Windows 10 machine. An Android phone and an endpoint machine running Windows Server 2012 r2 have also continued to work fine on 1.6. I have powered off and reinstalled Roon on the Win 10 machines that have had the problem (neither is an end point). I just hit this on Windows 7 while playing “Magical Arif [Remix]” via Internet Radio. 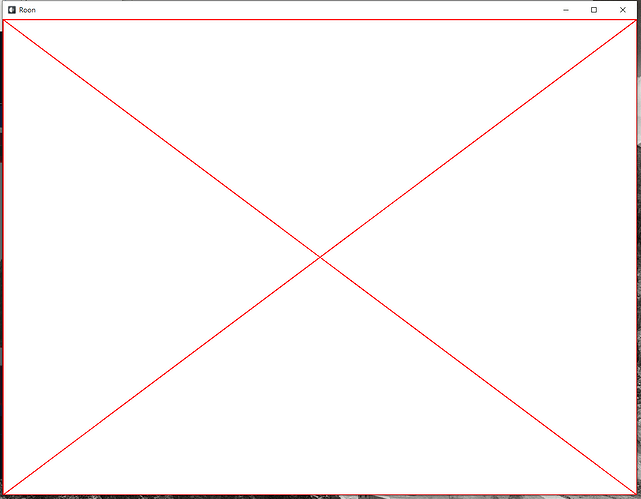 Same blank white screen with a red X, then crash. That problem seems to be trigered by some special characters in the title of song being played. The “[ ]” are among them. Until the bug is fixed the work around would be to access Roon from an Android or Linux Controller and play some other song with no special characters in the title. That should set the Windows app back to work. What was crashing the software reliably for me was the site known as “Audiophile Classical” at the URL http://stream.psychomed.gr Seems okay now. Thanks for the support.